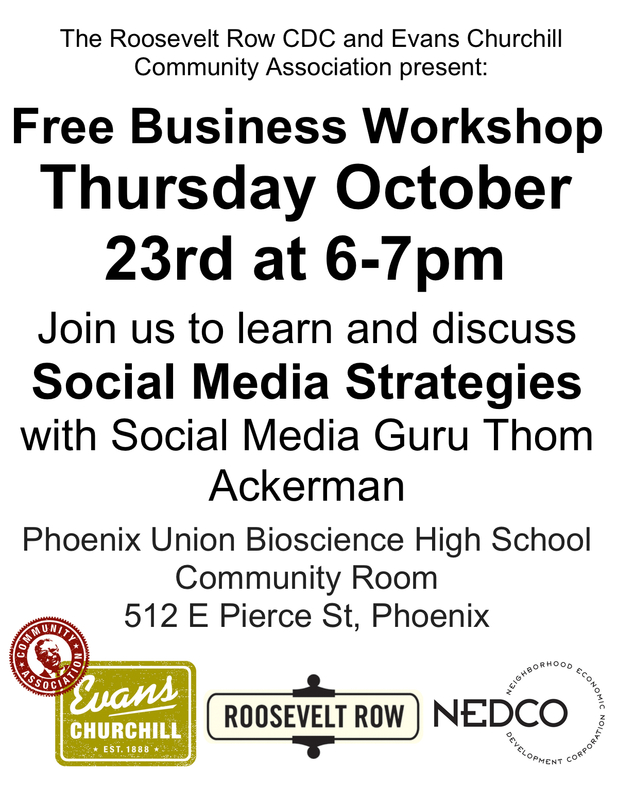 Hey Phoenix bicycle owners! Did you know thieves are less likely to steal a registered bicycle since its owner can easily be identified. Or, that bicycle registration aids in identifying the owner in case of a crash, as many bicyclists don’t carry ID, which is especially true of children. And, registering your bicycle increases the likelihood it will be returned to you if recovered. Now that it’s a bit cooler in our fair city, Evans Churchill Community Association, Phoenix Spokes People, Phoenix Public Market, and City of Phoenix Police Department have teamed up provide FREE bicycle registration for you, your family, and friends! Just drop by the Phoenix Public Market on Saturday, December 1, from 8 am to Noon, and all will be taken care of. Useful bicycle safety information, tchotchkes, and Q&A are also on tap! Under the Evans Churchill tent, just look for friendly neighborhood and community volunteers – and City of Phoenix police officers who manage the City’s bicycle registration program. We want to meet YOU! Whether you are a new or long-time Evans Churchill resident, come mix and mingle with us. It’s not about panel discussions, business networking, or a formal community meeting. It’s about having a good time getting to know you, the residents of our neighborhood. We’re excited to launch this quarterly “Welcome to the Neighborhood” event, but we also hold monthly community meetings on the 2nd Wednesday of every month. To stay in the know, make sure to sign-up for our e-mail updates and like us on Facebook if you haven’t already! 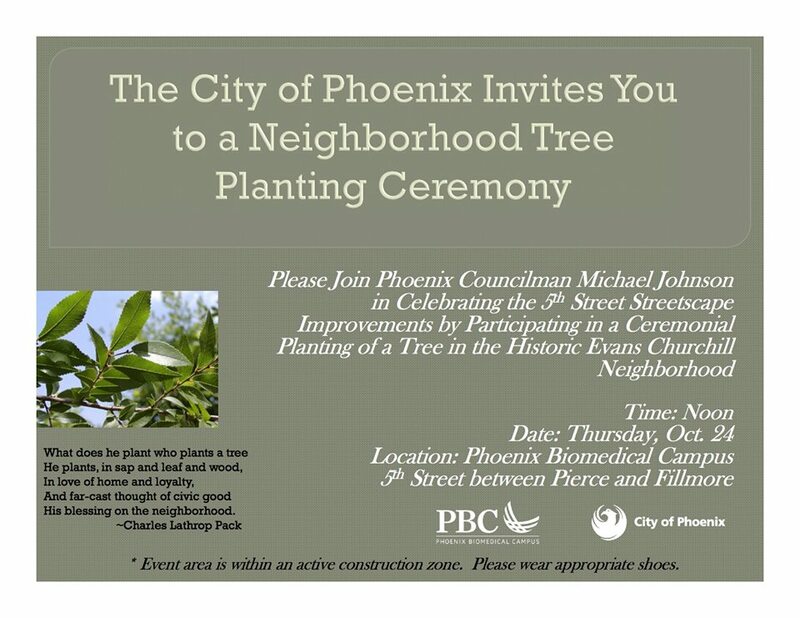 We look forward to seeing you and working together toward a more vibrant community. Thank you! Local food is sustainable food and we want to invite you to share the harvest. Featuring locally grown produce and foods from the Gardens at Growhouse, Crow’s Dairy, Phoenix Pinnacle Farms, Xericopia Urban Gardens, The MEAT SHOP and more. Local chef, Robbie Tutlewsk, will prepare a 4-course meal paired with beer and wine from Tempe’s Four Peaks Brewing Company and Flagstaff’s Grand Canyon Wine Co, finishing dessert with tea and coffee from local favorites Wisdom Nectar Tea and the Coffee Chopp. Enjoy the experience with live music with modern fiddler Tobie Milford, tours of the garden and mini presentations from the Phoenix Union Inc students on aquaponics gardening. Proceeds from this event will be used toward furthering the Growhouse Garden’s efforts to create more urban-agriculture and educational opportunities at the Growhouse for all ages. As an educational partner of Bioscience High School, the garden serves as an extension for students to engage in hands-on learning and projects centered in sustainability. Additionally, 25% of the proceeds will also benefit the Evans Churchill Community Association’s mission to raise awareness, promote, improve, and protect the Neighborhood. 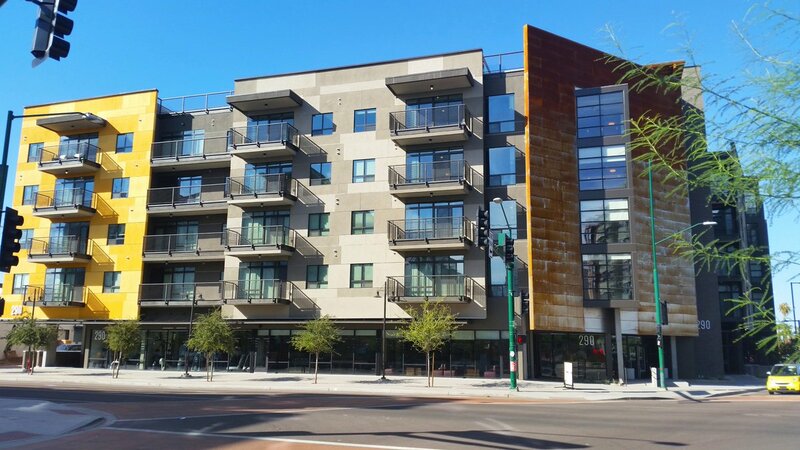 Special thanks to Evans Churchill Community Association, Downtown Phoenix Inc., and Roosevelt Row CDC for your support in getting the inaugural CultivEAT off the ground! 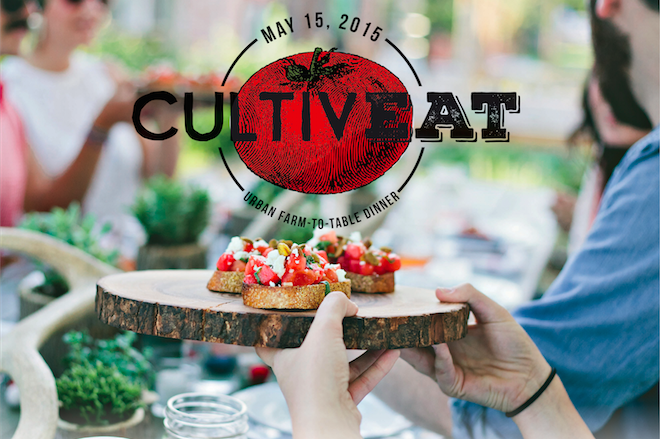 When: May 15, 2015, 7 to 10 p.m.
What do a tobacco smoked cocktail, vegetables growing under the shade of city buildings, mind-expanding edible, and the newest craze in printing all have in common? These are just some of the topics you can be enlightened on during TEDx Evans Churchill, August 28, at the Renaissance Phoenix Downtown Hotel. “Can’t Stand the Heat, Get out of the Kitchen,” the theme of this TEDxEvansChurchill, is meant to be a statement, not a question. This year’s event brings chefs, bartenders, food growers, scientists, artists, and restaurateurs out of their kitchens and onto the stage to talk about the things that get them, and the audience, excited in the world of food and beverages. TEDxEvansChurchill, sponsored by New Belgium Brewing and Downtown Phoenix, Inc., will feature 8-plus speakers who will share inspiring and thought-provoking insights. Presenters include Blue Hound Kitchen & Cocktails‘ Stephanie Teslar, Brat Haus‘ Payton Curry, Short Leash Hot Dogs‘ Brad Moore, and local beer cicerone among others. Following the talks will be “FED after TED,” an after party where guests can mingle to discuss the evening’s ideas, meet the speakers, and enjoy beer samples paired with small plates from downtown restaurants including Marsdens, Cafe at Phoenix Public Market, Kincaid’s Phoenix, and more.